Umbilical Tape is used to prevent excessive bleeding of the umbilical stump and to help prevent the introduction of navel infections. This product is an alternative to the umbilical clamp. 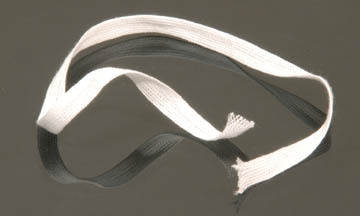 Umbilical Tape is non-sterile and made from spun polyester. Available in a pack of a ten 12" lengths.